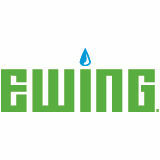 Ewing Irrigation & Landscape Supply unveiled plans for organizational changes to better position the company for future growth, while improving ongoing support for its more than 200 locations, the company said. To support these efforts, Ewing implemented five strategic transitions to provide greater and more focused support to its stores and employees. These transitions include redefining and aligning Ewing’s geographic divisions, focusing on employee development and customer education with the creation of a talent resources department, merging several shared financial services into one department, combining sales and marketing teams and strengthening its focus on business development. “Our new company structure is positioning Ewing for growth through increased support and resources for our customers, employees and stores. We have a tenured executive team, leading our efforts and creating greater opportunities for our Ewing family of employees,” said Douglas W. York, president and CEO. The news comes on the heels of Ewing’s recent merger with Upstart Products and the company’s appointment of Jeff Lanahan as the company’s new executive vice president of business development.